While there are no fees or other monetary charges required to participate in this program, qualifying entries must: 1) be in a compliance-prompting format with at least one compliance-enhancing feature; 2) have been commercially available (anywhere in the world) at some point during 2017; and 3) not require drug products to be “re-packaged” by patients. A category for Innovative Design has been added to recognize compliance packages not yet commercially available. Previously precluded from the competition, prototypes, designs, concept packages, and other formats that are not commercially available are now eligible for competition in this new category. Each of the winning entries will be promoted on the organization’s website, through special announcements and in materials forwarded to media representatives by the HCPC. Entries must be submitted between May 1, 2018 and June 29, 2018. The winning entry will be announced upon tally of the judges scores and the award will be formally presented during the HCPC Members Spring 2019 meeting in Charleston, SC. Entrants must submit 12 sample packages, as well as proof of their commercial availability during 2017. These packages will be shipped to the individual judges for their evaluation, as well as utilized at conferences and tradeshows as examples of compliance prompting formats. 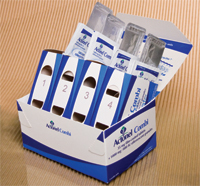 The samples submitted must not contain live drugs, but be either empty or utilize placebos. At the HCPC’s discretion, a statement attesting to commercial availability will be deemed acceptable. The HCPC reserves the right, however, to demand verifiable evidence that the package was indeed commercially available as a qualification condition. Entries must include pre-approved copy for press release purposes in order to provide the release to industry publications upon announcement of winners. Jpeg images no smaller than 2” X 2”, 300 dpi should also be included for use in various media. These should be kept separate from the basic entry form. Packages must be in a compliance-prompting format, and may be intended for distribution by a pharmaceutical company, a pharmacist, a home healthcare provider, an in-patient facility, or other entity. Qualifying entries will not require patients to “re-package” medications. Packages intended for at home use must be child-resistant, per CPSC guidelines. Entries must include a separate form noting the name, address and phone number of the company or individual which is marketing the product, the name of the person(s) responsible for its design, and the person who will be responsible for designating a school of packaging to receive scholarship funds should the entry win one of the three awards. Any additional information regarding the package (i.e., promotional literature, other honors or awards that the package has earned, etc.) may be included, but must be kept separate from the packaging itself so that it will not influence the judges’ review. Failure to comply will result in disqualification. A panel of judges will be selected by the HCPC. All entries will be evaluated by HCPC staff to determine eligibility. All entries determined to meet the established entry qualifications by HCPC staff will be reviewed by the judging panel. 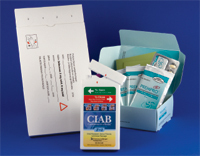 Judges will be asked to make subjective determinations, on a numerical scale, of characteristics such as: 1) the package’s ability to increase pharmaceutical compliance; 2) innovative designs incorporated into the packaging; and 3) unique features which distinguish the package from others on the market. The package receiving the highest combined score will be designated “Compliance Package of the Year;” the package receiving the second highest combined score will be designated “First Runner Up;” and the package receiving the third highest combined score will be designated “Second Runner Up.” In the case of a tie, judges will be asked to re-evaluate the three packages which received the highest combined scores during initial review. The judges’ determination will be final, and the HCPC reserve the right to withhold the prize should there be no acceptable entries in any or all of the winning categories. Cash prizes, in the form of scholarship funds forwarded to an accredited school of packaging in the United States by the HCPC. The HCPC will make a reasonable effort to determine how each of the winners would like to have their cash prizes distributed (i.e., which accredited school of packaging should receive the scholarship funds). Winners may not be able to “split” cash prizes by designating more than one school of packaging. CASH PRIZES WILL NOT BE AWARDED TO ANY PERSON OR ENTITY OTHER THAN AN ACCREDITED U.S. SCHOOL OF PACKAGING FOR ANY REASON, UNDER ANY CIRCUMSTANCES. Read letters from CPY Scholarship winners. The HCPC has sole responsibility for forwarding cash prizes directly to accredited schools of packaging designated by the winner of each category, and will be responsible for directing the Dean of each school to distribute the funds as scholarships to one or more students based on financial need, academic achievement, or any other criteria that the Dean sees fit.